CaSa Cleaning - Domestic cleaning and property maintenance services in south of Gran Canaria, covering Tauro, Playa del Cura, Puerto Rico and Arguineguin. 1st class service guaranteed. Property Cleaning and Maintenance in the south of Gran Canaria . Welcome to CaSa Cleaning in Gran Canaria. We are a small company offering cleaning and property maintenance services in the South of Gran Canaria. We provide services to clients in Tauro, Playa de Cura, Puerto Rico and Arguineguin. Whether you have a holiday home that you visit several times a year or your property is let to holidaymakers we provide a range of services ensuring your property is always perfectly presented and maintained. A summary of our services. · A full domestic clean, all surfaces, floors, windows. Outside areas cleaned. Bed linen and towels changed. 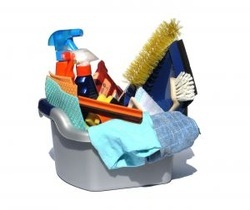 · Holiday let changeover clean. Service as above with clean linen and towels. · Interim clean for freshen up mid letting. With or without clean linen and towels. · A one off spring clean. Preparing your property after a period of non occupancy. · We can provide a rental service of extra beds and/or baby equipment, i.e. strollers, car seats etc. · We can supply complimentary welcome packs plus meeting and greeting your guests on arrival. · We provide a complete laundry service for additional items, i.e. curtains, rugs, cushion covers etc. · Regular empty property checks for general conditions of all areas. · Key holder services including 1st point of contact for security, pest control, meter readings, maintenance. · Complete property, garden and pool maintenance. © 2017 SalCaz Cleaning S.L. All Rights Reserved.